Paris and Lamar County law enforcement and members of the community join the Children’s Advocacy Center in remembering National Child Abuse Prevention Month. 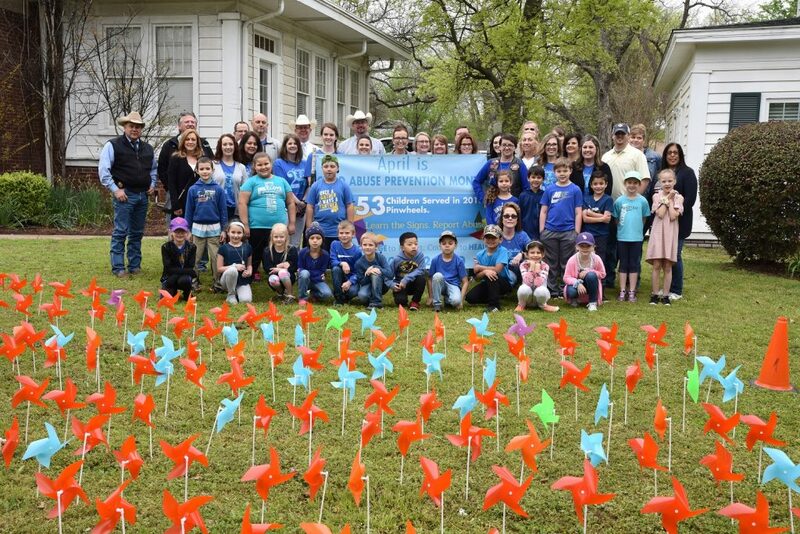 Cheryl Vanderburg’s first grade class at Higgins Elementary helped plant pinwheels on the front lawn of the Children’s Advocacy Center Friday morning as a reminder of National Child Abuse Prevention Month. In 2018, the CAC served 253 children in Lamar County. 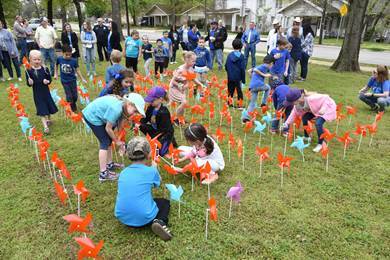 Representing the cases served were 180 red pinwheels for sexual abuse, 38 blue for physical abuse, 26 orange for child witness, 5 green for drug-endangered children and 3 purple for neglect. First graders from Higgins Elementary plant a pinwheel garden at the Children’s Advocacy Center.